When you are building ratio one of the good ways is to seed content that the torrent tracker doesn’t have ,but to have such content is not easy task . Please follow the below steps in order to increase your ratio in the private trackers. 2. Invariably you will find that some trackers are easier to seed and build ratio and some aren’t. 3.Check which torrents are available in the tracker sites which are easier to seed that are not present in the tracker site with more seeds. 4. Download the torrent file. 5. 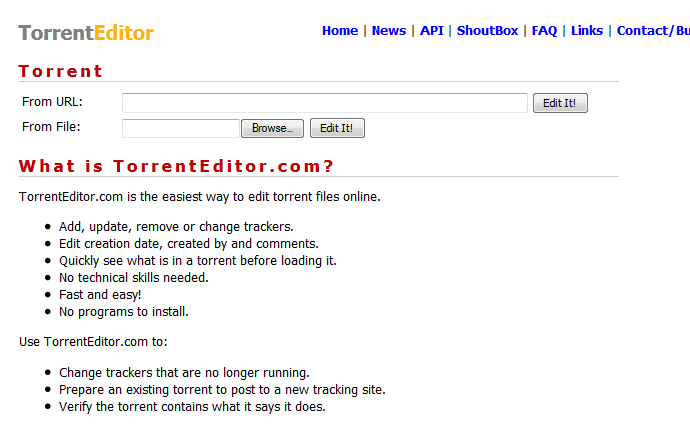 Open the torrent file at http://torrenteditor.com/, and edit the tracker announce information, select edit from file. 6. Delete the old tracker information by clicking on the red crosses, and edit it with the announce track of new tracker- by clicking on the green plus symbol. 7. Upload it to the new tracker site and it should start seeding. So the basic logic is cross seeding but generally the process involves you downloading files from tracker wherever it is easy and uploading it to trackers where building ratio is harder in this process you don’t have to rework,now this process is not possible to automate but one other tip is choose bigger torrents so that you will have a substantial amount of upload rather than utilizing on files that are very small .Also focus on the torrents which might have a better relevance to the tracker site you are uploading. 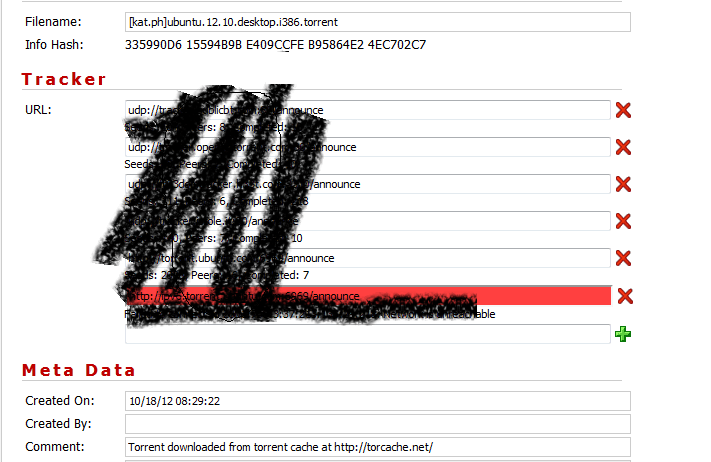 Do a force recheck, if initially the torrent doesn’t get detected. All in all use all ideas when you are initially planning to increase your ratio you can definitely use this technique in other ways . Also remember when you are cross seeding then try labeling your torrents to allow a distinction between them. 1. Adda small txt file in the downloaded torrent folder. 3. It will generate a new hash tag . Fast way to get content from seedbox to PC?